The Division provides teaching in Endocrinology to undergraduate 4th year and 6th year medical students, registrars in Internal Medicine and Senior Registrars in Endocrinology. The teaching format includes lectures, seminars, small group tutorials and bedside clinical teaching. In addition, post-graduate training is offered at several scientific levels, including Master of Medicine (MMed), Master of Science (MSc) and Doctor of Philosophy (PhD). In order to provide a comprehensive outpatient service to the community the Division conducts the following clinics: Diabetes clinics (twice per week), Thyroid Clinic (weekly), General Endocrine Disorders Clinic (weekly), Endocrine New Patient Clinic (weekly), Adolescent Diabetes Clinic (weekly), Diabetes in Pregnancy/Gestational Diabetes Clinic (weekly), Transgender Clinic (monthly), Pituitary Clinic (twice per month), Thyroid Cancer Clinic (twice per month) and a Neuroendocrine Tumour Clinic (monthly). The Division is also intricately involved in providing a comprehensive Endocrine service to inpatients in all Divisions. A consultant and clinical staff provide same-day Endocrine assessment and advice to more than 450 inpatient referrals annually. 2. Metabolic consequences of antiretroviral therapy in HIV-infected patients. A cross-sectional and longitudinal study have been completed and are in their final stages of analysis. These studies were funded by the World Diabetes Foundation and the South African Department of Health. 6. Health Systems Research: The Division collaborates in numerous projects being conducted by the Chronic Diseases Initiative for Africa (CDIA). These include a number of completed pragmatic randomised trials and observational studies within the primary care setting. Two trials are about to commence: 1 An individually randomised trial of an integrated health system intervention aimed at reducing type 2 diabetes risk in women after gestational diabetes in South Africa (IINDIAGO),. 2 A pragmatic individually randomised trial to test the effectiveness of sending short message service (SMS) texts in improving health outcomes and supporting medication adherence in patients with type 2 diabetes in multiple settings (SMART 2D). 7. Diabetes in the older person in collaboration with the Division of Geriatrics, this study aims to develop a self-Management care programme for older people with Type 2 diabetes attending community health centres in Cape Town. 8. Addison’s disease: The impact of cardiovascular risk, metabolic phenotype and Addison’s disease is being investigated in collaboration with the University of Gothenburg, Sweden. We are continually researching novel ways in which to monitor adequacy of hydrocortisone replacement therapy including salivary cortisone and salivary cortisol. We continue to examine the psychological impact of having Addison’s disease. 9. Differentiated Thyroid carcinoma: We are currently investigating the association between known genetic mutations and clinical progression of various forms of thyroid carcinoma. We are also examining potential novel genetic associations. This will hopefully culminate in the development of a cost-effective management strategy for differentiated thyroid cancer. This has been funded by the National Research Foundation (Thuthuka grant). 10. Prednisolone Pharmacokinetics and Tuberculous Pericardial Effusions: We are trying to understand whether prednisolone has a beneficial impact on the survival of patients with tuberculous pericardial effusions. Through a Medical Research Council grant, we are investigating the pharmacokinetics of prednisolone and tuberculous therapy in association with inflammatory markers in patients with pericardial effusions, in the hope that we can optimise these forms of therapy in the future and identify appropriate biomarkers that will indicate disease improvement. A/Prof Dave has been Head of the Division of Endocrinology since 01 September 2018. He obtained his primary medical degree (MBChB) at the University of Cape Town (UCT) in 1991. He received his PhD (entitled: “Isolation of proteases from Mycobacterium tuberculosis”) from UCT in 2000 and completed his specialist training in Internal Medicine in 2004 and his sub-specialist training in Endocrinology in 2006. He then spent 7 years in private practice but during this time he remained actively involved in research, teaching/examining of undergraduate and postgraduate students and attending endocrine clinics in the Division of Endocrinology. His main research interests have centred round the metabolic complications of HIV-infection and anti-retroviral therapy as well as general endocrine-related disorders in HIV-infected patients. He returned to full-time academic medicine in the Division of Endocrinology in September 2016. He publishes regularly in international journals, supervises doctoral and masters students, has been on a number of national and international pharmaceutical advisory boards, has been integrally involved in the development of national guidelines (type 2 diabetes, insulin pump therapy, thyroid disease), has been the Chairperson of the Society for Endocrinology, Metabolism and Diabetes of South Africa (SEMDSA), Chairperson of the Association of Clinical Endocrinologists of South Africa (ACE-SA) and is the Chairperson of the Local Organising Committee for the International Congress of Endocrinology (ICE) to be held in Cape Town in 2018. 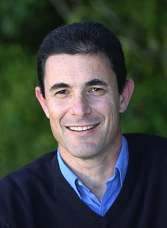 Associate Professor Ian Ross obtained his primary medical degree at the University of Stellenbosch in 1992 and specialised in Internal Medicine 2000 with the Fellow of the College of Physicians (South Africa) and super-specialised in Endocrinology in 2002. He received his PhD entitled: The aetiopathogenesis, cardiovascular and metabolic complications and pharmacogenomics of Addison’s disease in South Africa. He received his FRCP from London and is a full-time consultant in the Division of Endocrinology & Diabetic Medicine in the Department of Medicine at the University of Cape Town, attached to Groote Schuur hospital. He has active research groups involving Addison’s disease and thyroid cancer and is currently supervising four PhD and one Master’s student. He holds a number of research grants. He publishes actively, has presented at multiple international endocrine meetings and currently serves on the executive committee of the Society for Endocrinology, Metabolism and Diabetes of South Africa (SEMDSA). Professor Naomi (Dinky) Levitt retired as Head of the Division of Endocrinology in December 2017. Her involvement in the Division continues in a research capacity and as the Director of the Chronic Disease Initiative for Africa (CDIA), a network that strives to connect a wide range of experts in NCD public health, clinical medicine, epidemiology, lifestyle modification, health economics, health behaviour, implementation research and health service management. Prof Levitt received her undergraduate and postgraduate degrees from UCT and undertook a research fellowship at the University of Chicago. She has been integrally involved in the development of guidelines for people with diabetes nationally, regionally and internationally over the past decade. Her research interests are in understanding the burden of diabetes and related cardiovascular disease risk factors, the interaction between chronic infectious and non-infectious diseases and diabetes, and primary health care delivery for diabetes and hypertension. She has participated in numerous national, regional and international diabetes activities. She has led multiple epidemiological and health system studies, has published over 200 articles in peer-reviewed journals, has written 12 book chapters and has supervised 8 Honours students, 13 masters students and 10 PhD students.